What determines the speed of a particular backup? One factor is clearly the speed of the connection between the device or devices being backed up and the backup device itself. And of course there is the speed of I/O and the quickness of the disk. But by far the biggest factor is the amount data being backed. When you first backup a system, there is little you can do to change the size of the data volume, aside from some possible compression. With de duplication, one can dramatically reduce the amount of data that needs to be backed up in order to maintain an up-to-date backup.BluPointe’s form of data de duplication is called True Delta, and now just as commonly known as Deep De duplication. Like with ordinary backup tools, the initial backup copies the entire data set. It has to. Once the full backup is in place, it can be maintained by updating it by sending over only the changes. BluPointe de duplication software only sends over changed blocks, not changed files. And blocks are an order of magnitude smaller than a typical file. Here is one way to explain it. Say you have a Word doc that is 300 KB. Now you change one word in the file. That essentially wouldn’t change the size of the file. With BluPointe de duplication software, only the changed block, representing that one word, is sent across during a backup. Other deduplication techniques are filed based, and therefore will retransmit that entire 300 KB during the next backup. That doesn’t sound like a lot, but multiply that by thousands of files, most of which are far larger than 300 KB, and you can quickly see the problem. 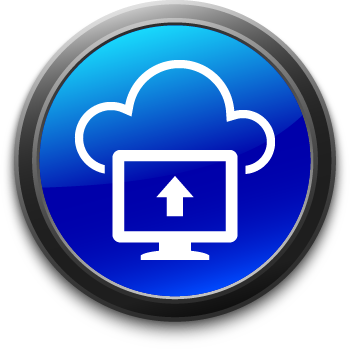 Deep Deduplication means a great savings in disk, or if you are backing up in the cloud – service costs. It also means your network isn’t slowed by having to transport massive data sets. If you are doing an on-premises backup, these smaller data volumes to maintain the backup means your existing disks will last longer as you are taking maximum advantage of their space. And you can forestall network upgrades since the backup isn’t taxing your bandwidth all that much. But the real impact is on speed, and dramatically faster backups represent a real game changer. Smaller data volumes by definition travel far faster than large ones. Now you have a backup window far shorter than you used to have, which means you can schedule backups based on your data protection needs, not network availability. More frequent backups means your data is always fresh, so you lose very little in the event of a major disk or system failure. With BluPointe Deep De duplication, you only have to send over 0.1 to 0.05% (1% is a worst case scenario) of the original backup volume to keep the backup current. Unfortunately not all shops are taking advantage of de duplication. An analysis by Gartner found that only 9% of businesses surveyed apply de duplication to the majority of their backups.